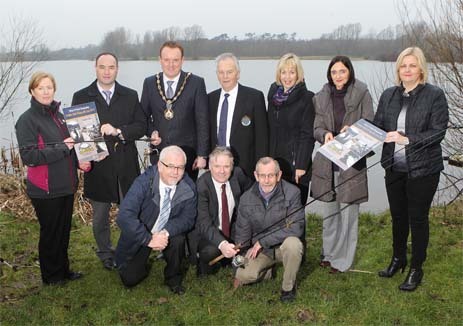 The National Coarse Fishing Federation of Ireland, NCFFI today launched the 2015 FIPs-ed World Championships for Predator Bank Fishing with Lures to be held in Northern Ireland this May. This world standard sporting event to be held in partnership with Craigavon Borough Council and the Department of Culture, Arts and Leisure, DCAL is now in its 13th year and expected to attract entries from up to 20 nations with teams from as far away as Russia and South Africa taking part. The 2014 Championships took place in Bulgaria with Slovakia taking the title and keen to retain their crown in Ireland! 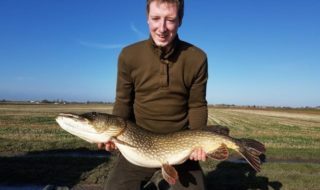 Anglers will be fishing on the Craigavon Lakes in County Armagh with competitors targeting both the North and South lakes for pike, perch and rainbow trout. Not only does this event promote angling as a sport in Northern Ireland but is a real boost to the local economy securing up to 1000 bed nights for the region. Craigavon Borough Council is delighted to host this event with the potential to bring in around 200 high value International competitors to County Armagh. 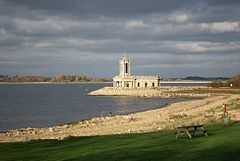 The Craigavon Lakes are part of the public angling estate and fall under the direct remit of DCAL who will prepare and stock the venue as well as providing the NCFFI with stewarding assistance during the event. The NCFFI has organised two major FIPS-ed World Championships in the past two years. In October 2013, hosting the FIPS-ed World Championships for Boat Fishing with Lures in Enniskillen, Co Fermanagh, attracting 14 nations and in July 2014, 25 nations attended the World Feeder Fishing Championships in Coachford, Co Cork. The value of these two events has contributed over £1million to the island of Ireland. The Borough of Craigavon in Co. Armagh, Northern Ireland supplies the venue at the majestic setting of the North and South Lakes, situated at Craigavon City Park – home to 332 hectares of woodland trails and tranquil walkways. The 25 hectare North Lake which is 800m at its longest point contains trout and pike. 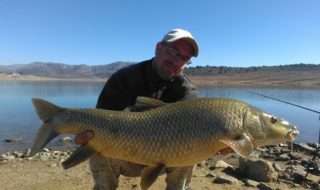 The 39 hectare South Lake also has perch, roach, bream and hybrids. . The competing Nations will all arrive by Wednesday 20th May to take part in the two training days on Thursday 21st and Friday 22nd May with the main competition taking place on Saturday 23rd and Sunday 24th May 2015. An opening ceremony is arranged to welcome the competitors to Craigavon and indeed Ireland and the event will close with the Grand Presentation of the winners at the Craigavon Civic Centre on the Sunday. The teams will comprise of six anglers along with team coaches, captains, officials and support staff. During the Championships only rainbow trout, pike and perch will be counted, all fish will be caught using barbless hooks, netted and returned immediately to the water, each fish caught scores one point therefore no weighing or measuring is required. Further to their successes on the world stage the NCFFI Predator Club will be leading the selection of the Ireland Team for the event, and invite Ireland’s predator anglers to the qualifying trials due to take place on the championship venue the 2nd & 3rd of May. Today our sponsors and partners along with members of the NCFFI Predator Club and junior anglers from Keady & District Angling Club were joined by the Mayor of Craigavon, Councillor Colin McCusker, Oliver McGauley, President of the NCFFI and Aidan Cassidy, Head of Fisheries Policy at DCAL at the City Park Lakes to review the venue and officially launch the event.